West Ham have been handed a big boost to their cause with both Manuel Lanzini and Fabian Balbuena set to continue their recovery from injury by joining the first team on their warm weather training getaway, according to Football.London. The news outlet claim that the Argentine attacking midfielder and Paraguayan centre back, who have both been out of action of late, will join their teammates on the training ground in Spain this week in what would be news to the ears of the Irons faithful. 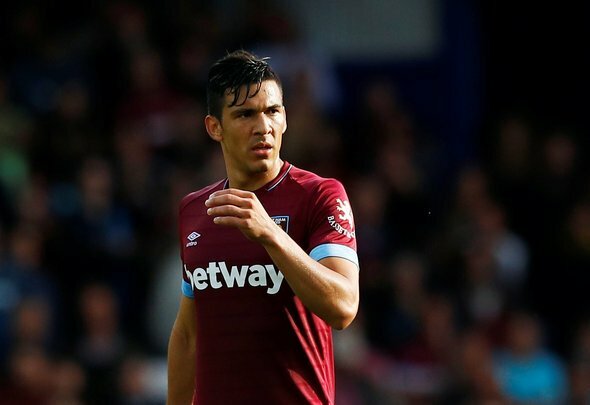 Balbuena has been forced to sit on the sidelines since before Christmas with a knee injury while Lanzini has been out since the summer but having both back in regular first team training, rather than taking part in light exercise, is a big step forward. It sounds as though West Ham are set for a boost at both ends of the pitch when they finally have their next game, with the fans forced to twiddle their thumbs this coming weekend due to their early exit from the FA Cup. While missing out on the chance to progress in the cup and a chance at some silverware will be disappointing, it is a blessing in disguise that the likes of Balbuena and Lanzini can take part in extra training sessions and get ready for their returns. It also takes away any risk of the Hammers picking up any additional injury problems on a match day and so everyone can make sure they are well rested before getting their season back underway. There is no guarantee that Lanzini nor Balbuena will be thrown back into the first team setup but considering how influential they have both proven to be in the past, you would not be surprised to see them heading straight into the thick of things.